For its first Artisanal barrel aged release of 2018, Mornington Peninsula Brewery pays homage to both its locality and the brewers of Belgium. 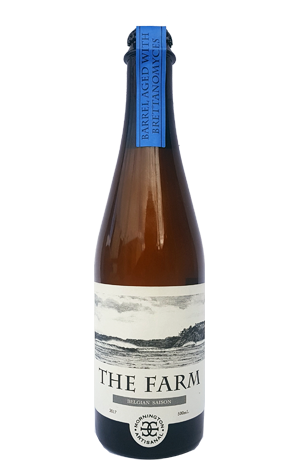 Taking its name from a popular surf spot near Flinders on Mornington Peninsula, The Farm is a saison that’s been taking shape in French oak barrels with Brettanomyces for company. It would appear the Brett strain chosen here isn't of the barnyard funk variety, despite the beer's name, as The Farm delivers more of a fruit-laden mix of flavours. With a smooth texture and mouthfeel, the beer brings together a combination of stone fruit, spice and floral notes. Flavours of pear also lend the beer qualities reminiscent of lighter, funky white wines and, as it warms, tropical elements, particularly those of pineapple, develop further.